The Uncurated Life: Sharing Time: What Makes You Pretty Powerful? Sharing Time: What Makes You Pretty Powerful? Whatever we choose, we are often judged. They say that no woman could be so tough. I never really understood why you had to go so soon. I guess only God can answer that and He is pretty mum about the topic. You always said to leave it all to Him, He knows best. When you left, I didn't know what to do. People kept bugging me about my plan when I was just missing you so bad. But I can't miss you all the time, can I? I need to be the woman you raised me to be. A woman who knows what she needs to do and get on with it. But it was hard. So hard that for a month I just did what I knew best. I took out my eyeshadow brush and just played with makeups. I tried on different looks, wrote about them and shared them. I went to work every single day with a different makeup look. It was fun, Mom. I had fun thinking what eye shadows to wear, what foundations to try and what lipsticks to put on. I know you think I'm beautiful even with makeup but it made me feel pretty, too. Somehow, it gave me back the confidence I lost when you went away. And writing and sharing about it.. it erased the feeling of weakness I had since you went away. Somehow, when people starting to ask me for advise and to do their makeup, a spark lit up inside me... and that small spark is glowing so bright right now. I'm doing exactly what I've always wanted to do. And that's all because you gave the freedom and independence to pursue what I wanted. Not knowing that it was exactly what I needed to survive the pain of losing you. I feel pretty powerful, Mom. Not because of the things happening to me, but because I know that no matter what I do, you raised me to do right for myself. Thanks for letting me play with your makeup when I was a little girl. Thank you, Ma, for making me pretty because I inherited your good looks. For making me powerful because you gave me the best education and you really raised me well (although we had a lot of fights during my teenage years) and for teaching that being who I am is what I need to be happy even if you're not here with me. I love you, Ma... so much! Some people say, it's just makeup and we really don't need it. Maybe we don't. But I believe makeup allows me to be the best version of myself. Most specially my favorite Bobbi Brown Skin Foundation with SPF 15 PA++ which has proven me to be the most amazing foundation I can use all the time. On good skin days (which thankfully, is nearly everyday now), I use this foundation to keep my skin even in tone and texture. It gives a flawless finish and it goes well with any product I use. 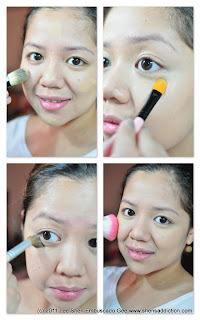 Using any kind of tool, from sponge to brush is such a breeze with this foundation. And I have no hard time taking it off either. This is my favorite Bobbi Brown makeup. Oh! And I never have a bad photo with the Bobbi Brown Skin Foundation. These are the products that I used, the Bobbi Skin Foundation and the Pretty Palette from Pretty Powerful Collection. 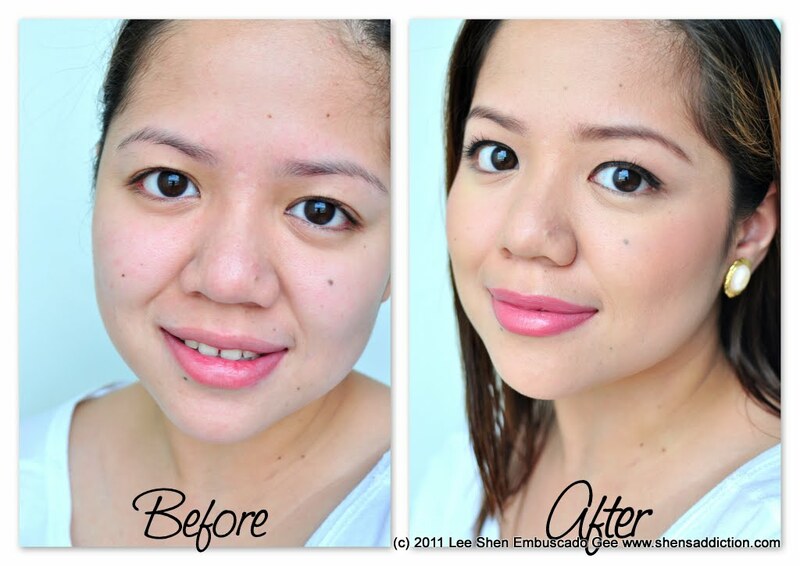 With a clean, toned and moisturized face, apply the liquid foundation with a tool you're most convenient with. I prefer a foundation brush with my Bobbi Brown Skin Foundation. Cover dark under eyes with your favorite concealer, use a corrector if needed. 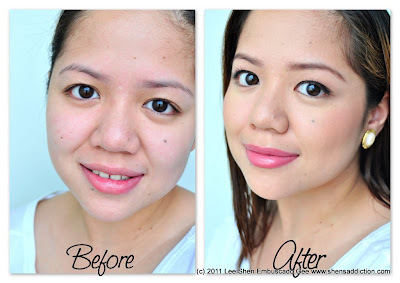 I prefer Bobbi Brown's Peach Corrector to completely remove traces of dark under eyes, after that my concealer. I then, set it with a yellow powder to brighten my eyes. 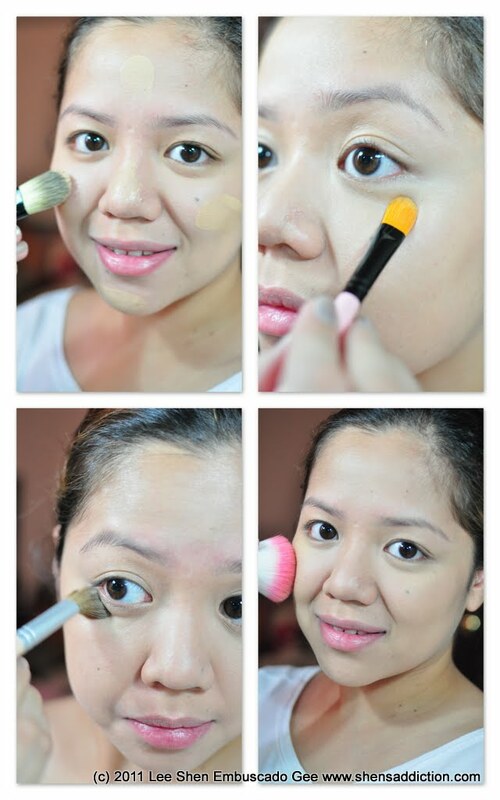 Cover blemishes with a corrector stick that matches your skin tone. 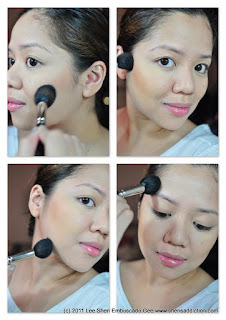 Set you foundation and concealer with a pressed or loose powder foundation. Apply a lip balm or moisturizer to prep your lips for lipstick application later on. My favorite part, apply a bronzer to accentuate your cheeks. Swipe a blush that brings a natural blush to the cheeks. 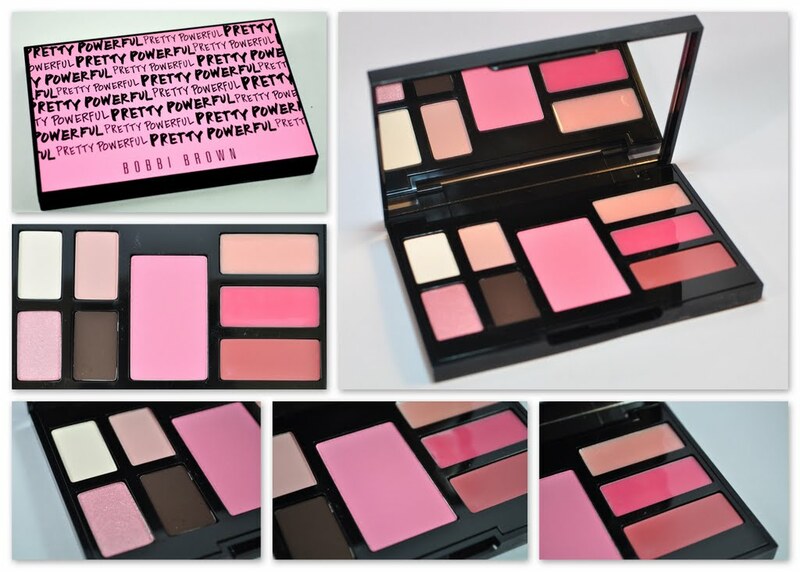 I used Bobbi Brown's Pretty Palette's Pretty Pink Blush. It's a matte pink blush that mimics my true blue blush. With a lip brush (you can use your middle finger pad, too! ), apply the Sandwash Pink Lip Color Pretty Palette from. Don't forget to apply a lip liner. This ensures your lipstick stays put. 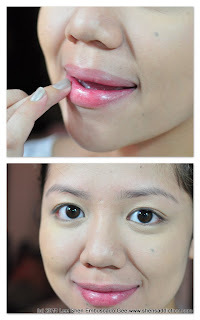 Be adventurous and mix two shades of gloss and dab it on your lips to shinier pucker. 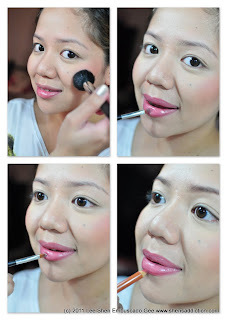 I mixed the Soiree Pink and Bubble Bath Lip glosses from the Pretty Palette. Eyebrow grooming next, with an angled brush, use the Chocolate Caviar from Pretty Palette to shade in your brows for a much cleaner, put together look. On to the eyes! from the Pretty Palette, use the Ivory eye shadow all over your lid to your brow bone as base. 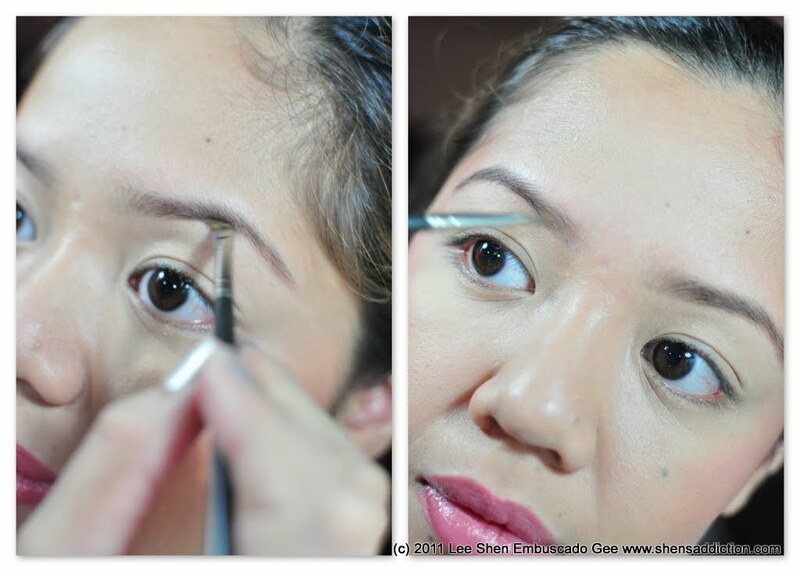 Shade in the Pink Flannel on the crease of your eyes and move it downward to your lid. Accentuate your crease with the Chocolate Caviar with a blending brush. For evenings, apply Pink Chiffon for an added allure. Use a long lasting gel liner, like Bobbi Brown's long-wear gel eyeliner to define your eyes. 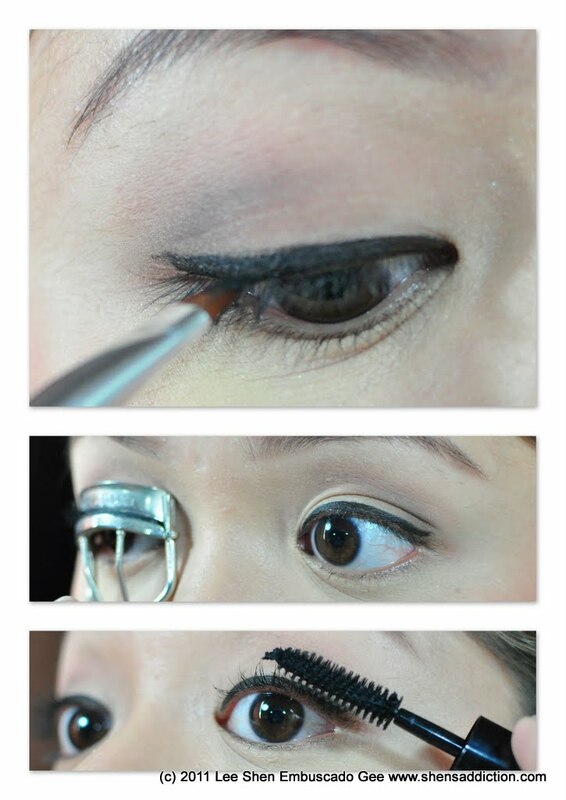 Go over the edge of your lash line to create a winged tip if you plan to take this look from daytime to night time. Curl lashes first before applying mascara to avoid damaging your lashes. 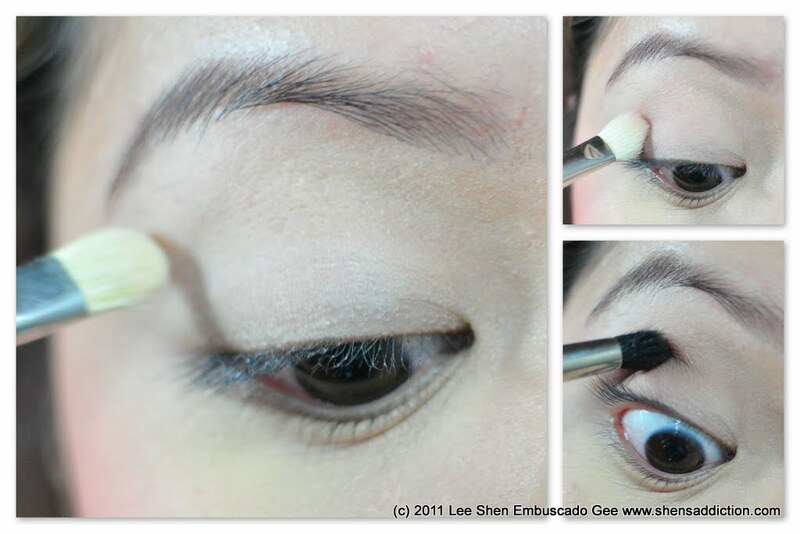 Lastly, apply Bobbi Brown Everything Mascara evenly to both lashes. For evening, you can coat your lashes once or twice more to thicken the lashes better. Didn't I say that becoming pretty powerful is easily achieved? I hope I was able to share enough of me and how makeup made me feel alive again after mom passed away. I've only began to tell you how this endeavor and passion for makeup made me feel as if I still have a purpose after losing such a big part of me. I'm very close to my mother, she's the whole world to me... it's funny how makeup, shallow as some people may think it is, became a catalyst to help me survive the pain of losing her. It's unimaginable to many how a bright makeup look really brightens up my day or how ecstatic I could be whenever I perfect a gel liner application. And to see those looks appear so flawlessly in photos, oh the joy! My mom's name is Joy and now, the joy I know is that which I find in a simple makeup palette and the memories of her I'll forever remember. That's a beautiful palette! Galing ng transformation ah! You didn't change your look much but you made your best features pop. sis, I am sure your mom is smiling up above the sky! I remembered how when your mom passed away and how you talk about it over here, it does help you become a stronger person! Proud of you sis! Love your makeup! super flawless! i'm sure you're mom is very proud of what you've become now Shen. you've become a strong woman who's facing life's challenges maturely and well, pretty :) you've inspired a lot with you experiences and stories, i am one of them. don't we all hope that our children-to-be would grow up to be pretty powerful too? godbless u shen and always take care! hugs shen its hard to miss someone you know you will never see again... she's looking for you up there smiling and happy and proud because her little girl is now a lady a powerful lady.